Last week I was on my way to visit my mom. I have a specific route I take and I have driven it so many times I truly believe my car could do it by itself. There are two small towns I go through, and while I slow down, I don’t pay attention to the speed limit. I always wonder – Do they even have a city police person?! As I was almost out of one small town I realized if I didn’t hurry up and pass the incredibly slow car in front of me, and then get around the semi ahead, I’d have to follow the semi for miles. When you leave this town there are long stretches of no-passing zones. So, without a care in the world, I passed that incredibly small car and as I was zipping around the semi I saw a police care chilling in a parking lot. What? The town has a police car? As I watched in my side mirror I saw him pull out, put on his flashers, and started following me. Surely, he doesn’t want me! “Yes, you were going 47 mph in a 30-mph zone.” What,” I asked incredulously, “that is just terrible.” He agreed. Then he asked a question that changed everything. “Where ya headed.” I kind of felt like I was in the movie Fargo. Without even a thought I said, “To visit my mom in the nursing home in Orange City. 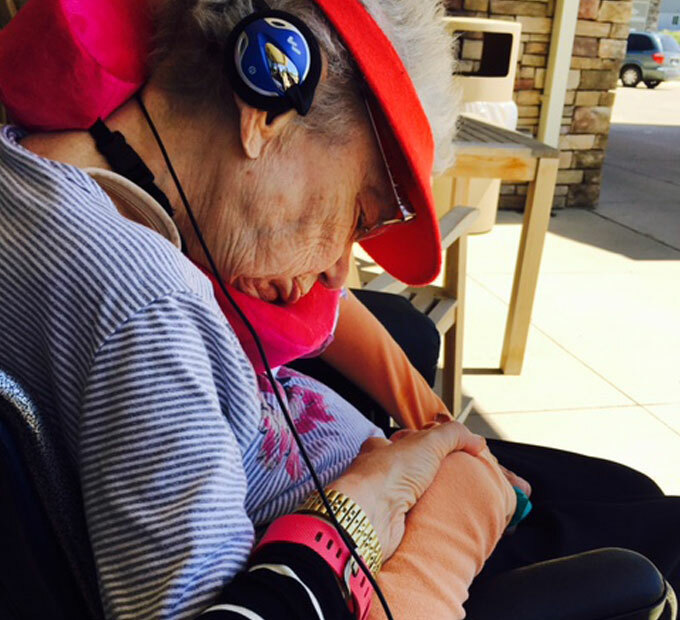 She’s in hospice.” Whenever I say the word ‘hospice’ to someone I don’t know I get emotional. Which I did that day. But, I know where she is headed so she and I are both good! He took my documentation back to his car and I waited. And, I waited. It’s quite interesting. I didn’t feel scared about a ticket. I didn’t feel any anxiety. I felt such peace that whatever was meant to happen would happen. “You go have a good visit”, he replied. You need to understand. This police officer couldn’t have been more than 20 years old. Seriously. Most likely, he has not gone through having a loved one in hospice, at least not a parent. But, he let me go because of where I was headed. Where ya headed? Really, where? In your life, in your career or business, with your family, your faith, etc. We don’t always get a break, like I did that day, when we hurry or take the wrong path to where we want to go. I speak from personal experience. Please, oh please, take time to think where you want to go in all aspects of your life. In my 90-day DESIRE Personal Empowerment Program our first exercise is rating your contentment in 8 areas of your life: Fun & Leisure, Home Environment, Career/Business, Money, Health, Friends & Family, Significant Other and Personal Growth. It’s quite amazing what I can tell about you, just from this exercise, and then help you pick the top 3 most important goals for you for the next 90 days. You will be headed in the right direction! Think of how much more excited you would be in the second half of 2017 if you were clear on your goals and clear on where you are headed. If you want to go farther faster (with no speeding ticket!) 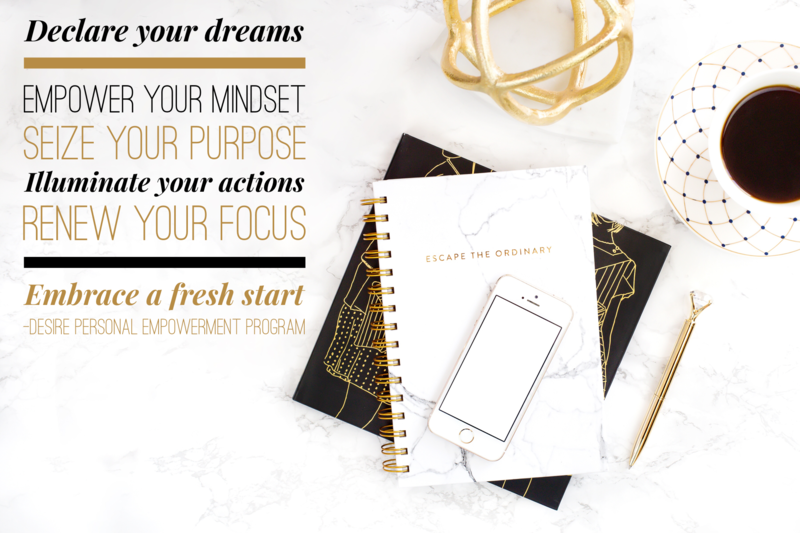 with knowing what is essential in your life and what you dream of accomplishing then join me in my 60-day DESIRE Personal Empowerment Program. If you desire to achieve what you want and need, let’s find out if you and I are a right fit. Find out more about the DESIRE program below and let’s start making things happen for you! We are starting the 2nd half of 2017. How is it going for you?! It may be time to take stock of your life and career. If things aren’t going so well – or everything stays the same and you find life lacking some luster – is it time for a new way to look and do things? I have started a new program and am seeing great results. The DESIRE Personal Empowerment Program changes – well, it changes everything. This is a personal 1:1 program with me for 90 days and only women who are truly ready for amazing results are accepted. This is for you if you are ready to take stock of where you are, what makes your heart sing, and take the first steps to brighten up your life. This is for you if you are ready to detox obstacles and energy suckers that are getting in your way and you want a fresh start. This is for you if you want to set healthy new habits to support your fresh start and set achievable goals based on the vision you have for your life. Is this you? E-mail me at Elizabeth@ElizabethHagen.com or call me at 605-310-5764 and we will set up a time to find out. If you are not where you want to be now is your time – it really is!